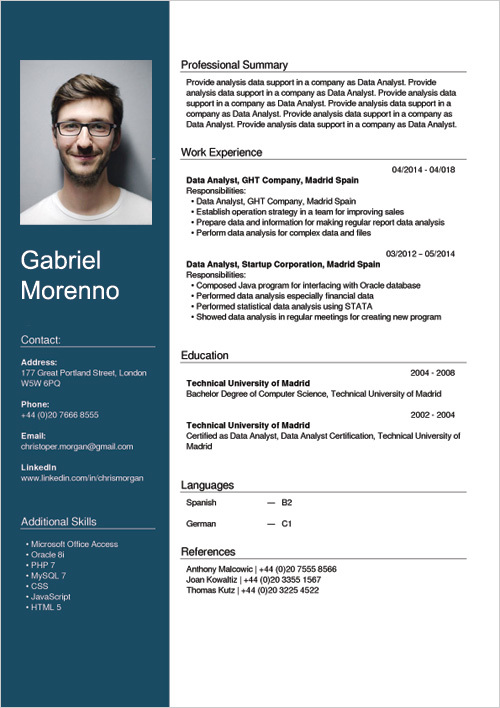 A Free Online Wizard / Creator Resume – Create Your CV in 15 min.! You do not have to register. Choose a pattern and start writing your English CV. Do not waste time, use a simple and fast online program. The document will be saved in PDF format to your computer's disc. We do not store your personal data. 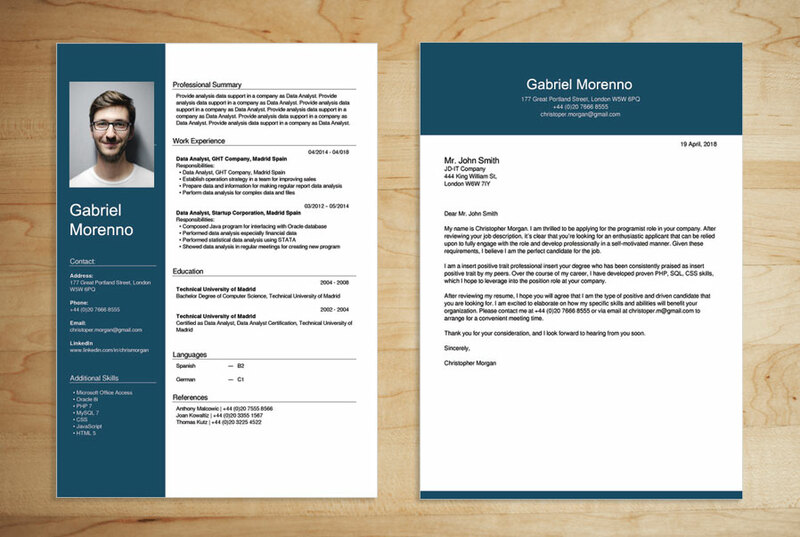 A CV and a Cover letter, adjust documents, colors and font, your documents can look very professional, as below. 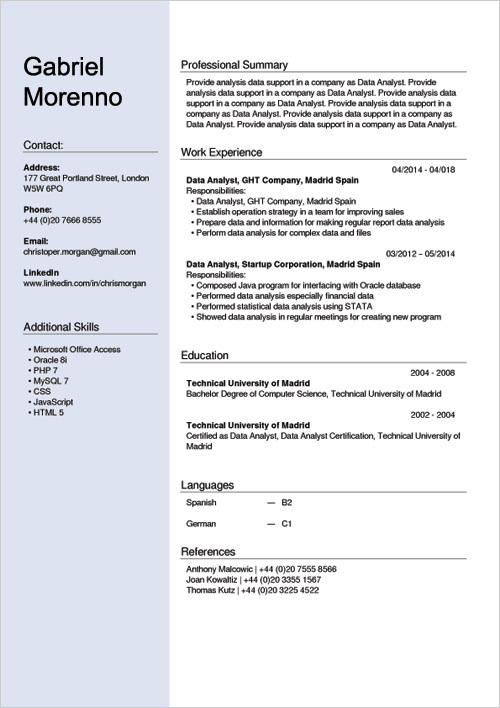 Use - Cover Letter Wizard Online. I'm 60 years old and I managed. The perfect program, I recommend. This is it, I’m very happy with the result. Now I can look for a job. A very effective tool. My PDF documents look very good. THX. 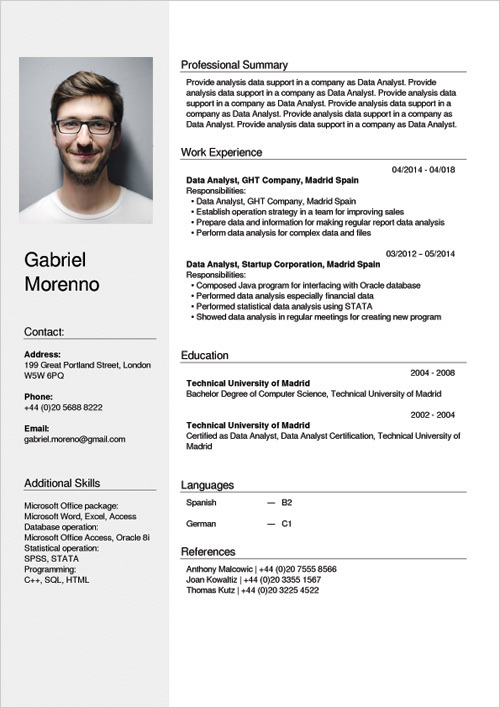 Completely free, a good way to quickly create a graphically refined resume, easy-to-use. Ideal a PDF format, print or email it! At stage in the CV build the user has useful tips and guidance on appropriate structure to use and information to include.